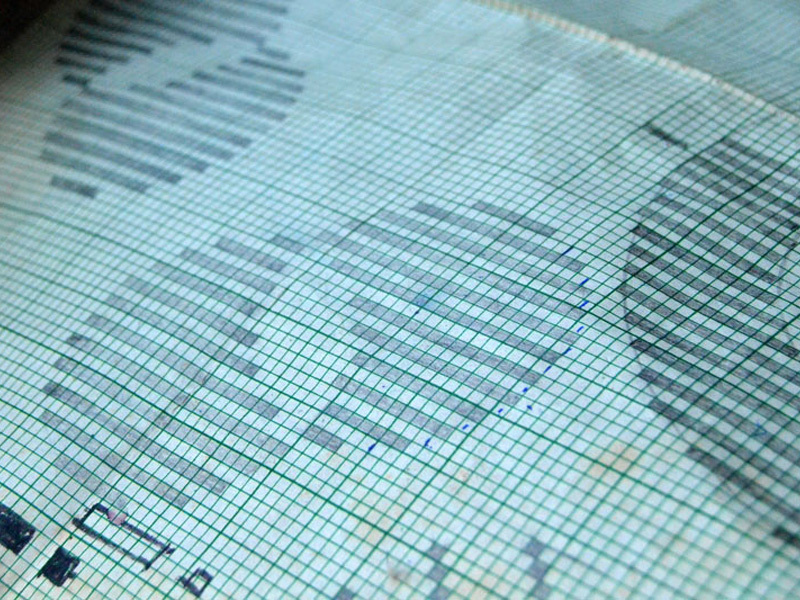 After the pattern to be woven is sketched on graph paper, degumming of the yarn is done. 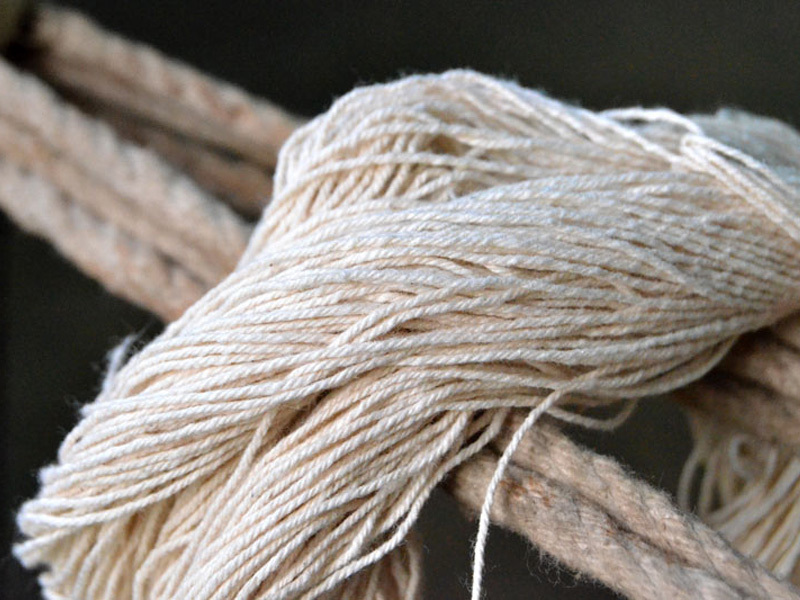 Infact, any yarn undergoes washing process with soda and soap water to increase pliability and smooth and shinier texture. 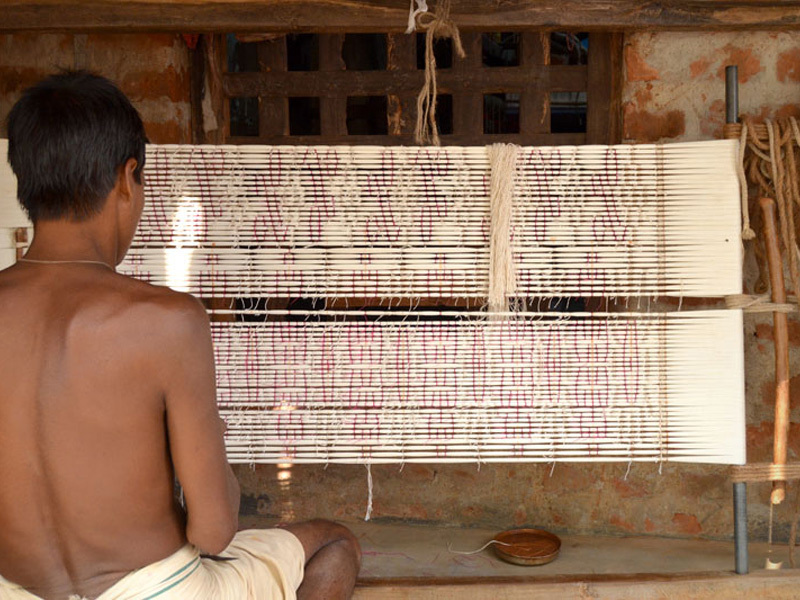 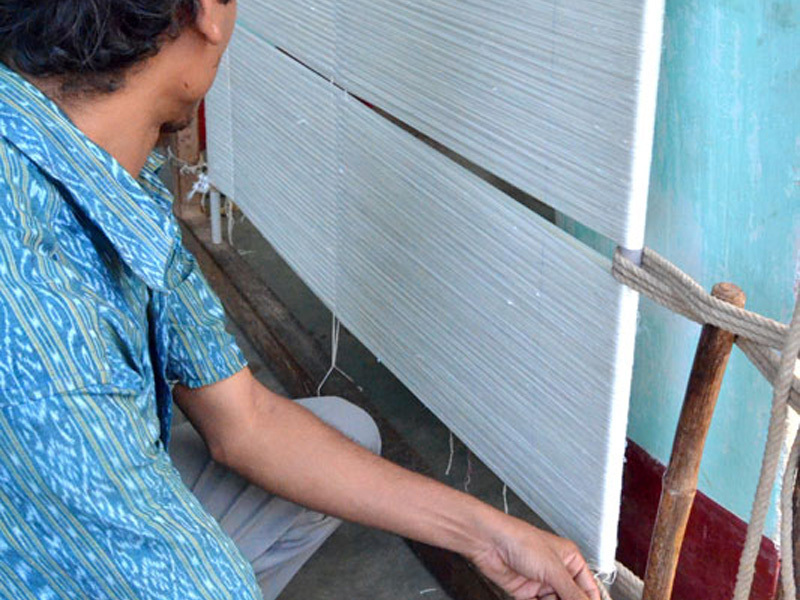 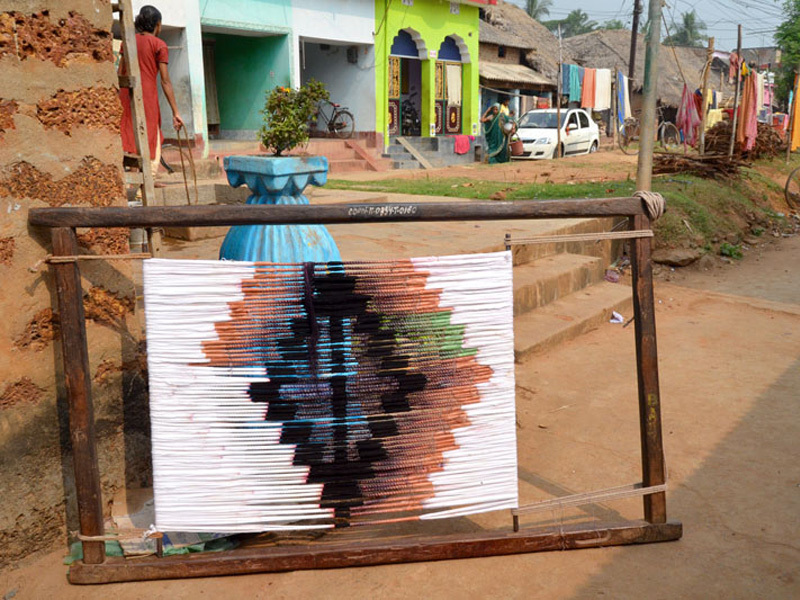 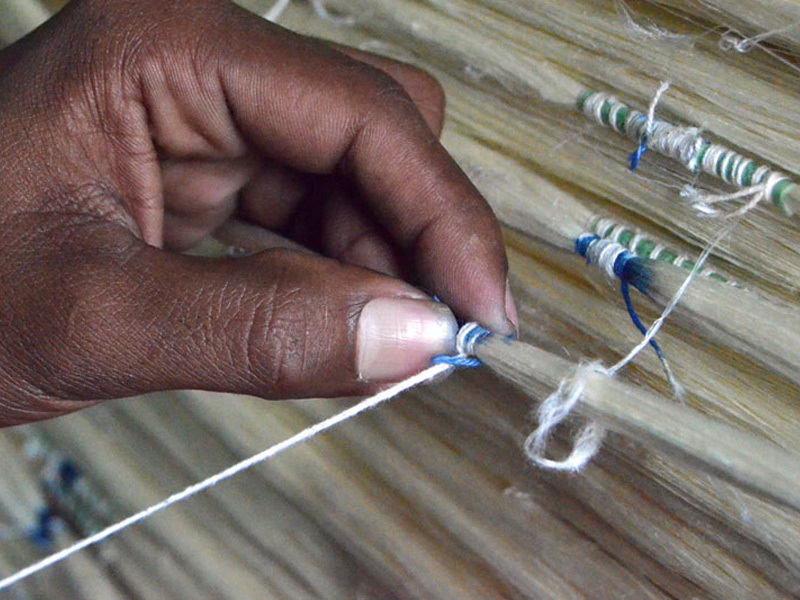 Once the yarn is dry, it is tied to a wooden frame. 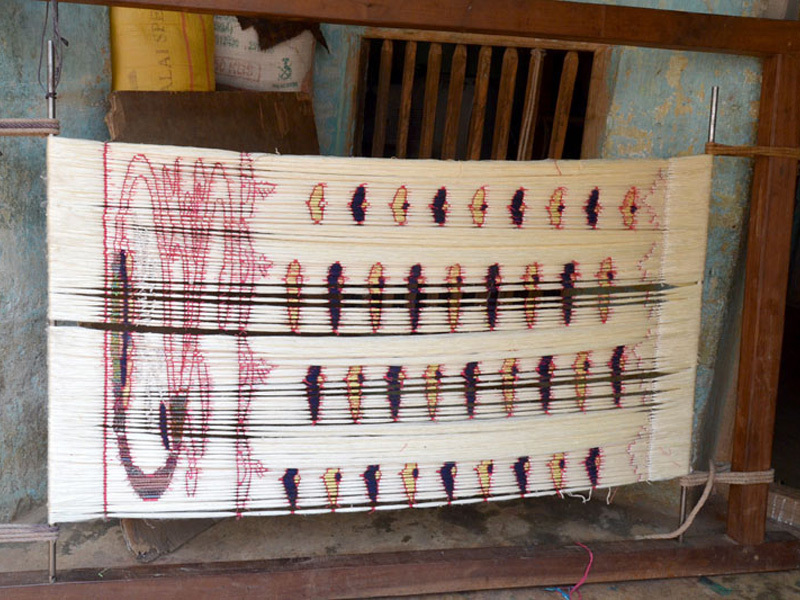 This is the weft of the saree. 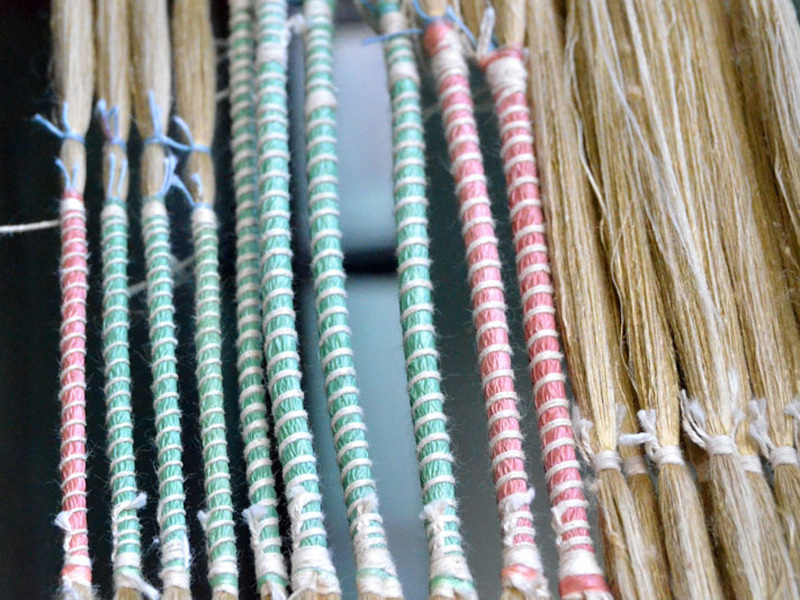 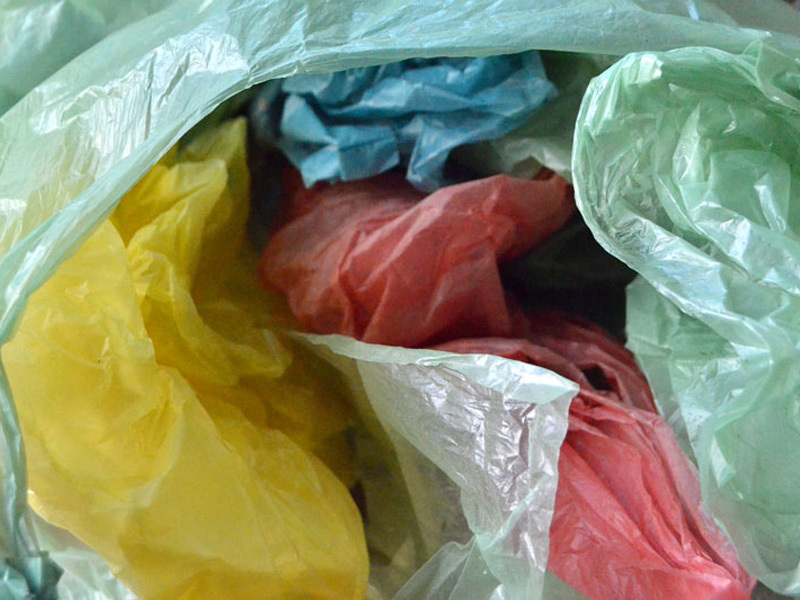 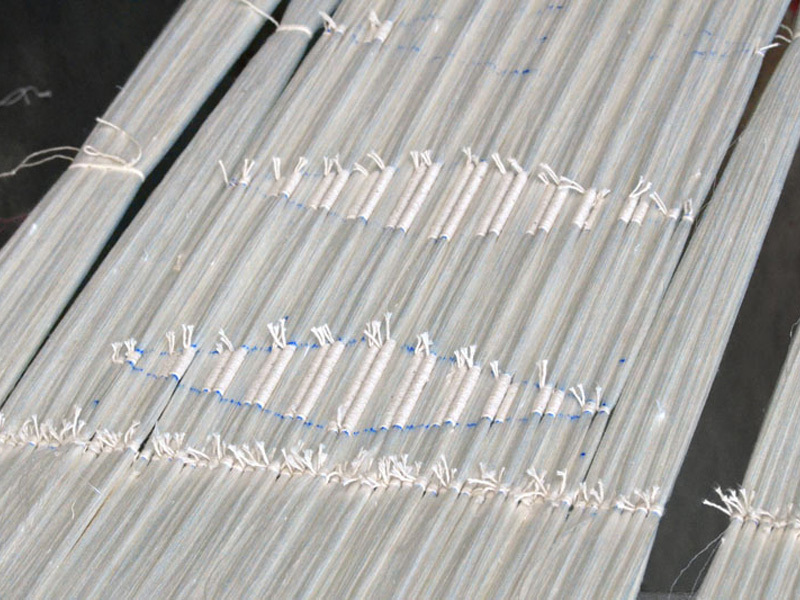 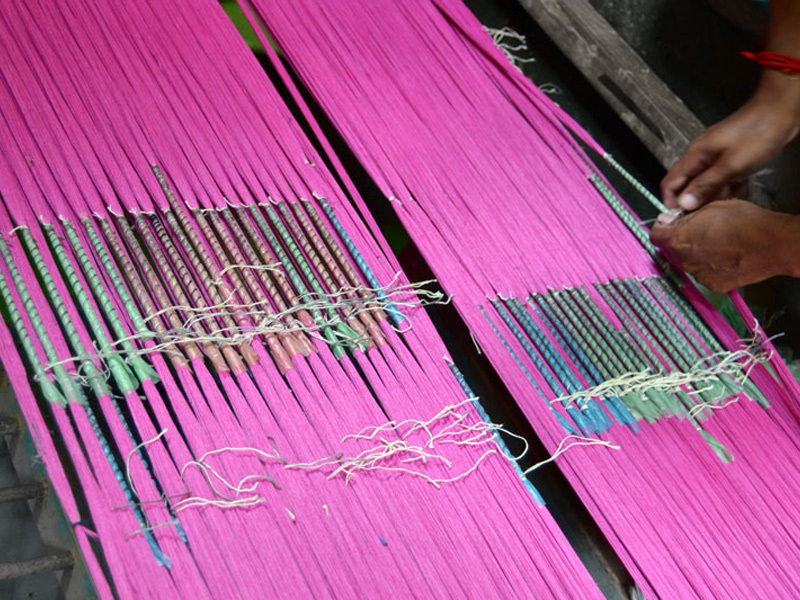 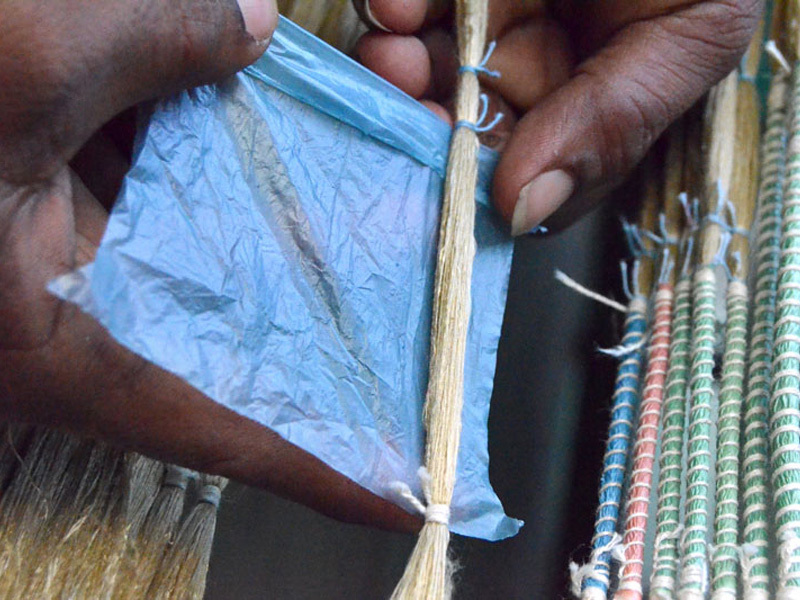 Bindings that resist dye penetration are applied to narrow or wide bundles of these threads in locations defined by the intended motif.